The Manufacturers Association of Central Florida (MACF) is a non-profit organization dedicated to building the manufacturing industry in Central Florida. They provide a venue and pathway for networking, education, sales opportunities and lobbying for Central Florida business. For 26 years the organization has elevated Florida manufacturing companies through educational training, workshops, grant opportunities, supply chain assistance, and working with local and state legislators. Electron Machine Corporation was named the MACF 2018 Small Manufacturer of the Year. 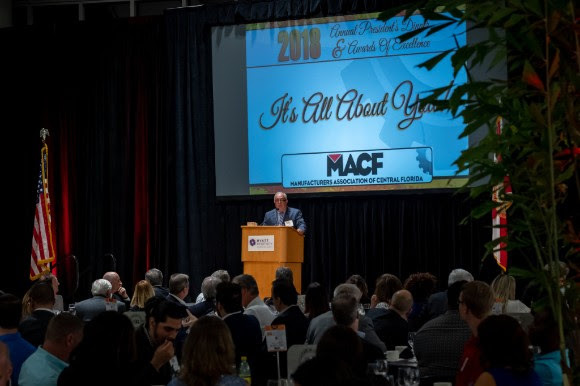 The award was presented at the 2018 MACF Annual President's Dinner & Awards of Excellence and received by Electron Machine President C.A. Vossberg. 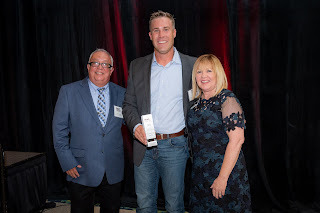 The award is in recognition of Electron Machine's success as a Central Florida manufacturing company that consistently exhibits growth through outstanding quality, teamwork, leadership and a strong sense of community.